"I live too far away to commute." We hear this excuse all too often at the shop. Sorry to rain on your non-commuting parade. No. You don't live too far away to commute. Living "too far away" to commute is a blessing. Put your bike on the car rack, drive to a point that you deem "not too far away to commute," then park and ride. If you're feeling ambitious, today's commute might be a 15-miler. Tomorrow's commute might be a 5-miler. You choose. Just choose to commute. In the beginning, there were 26" wheel mountain bikes. And they were good. After many uncontested years, the 29" wheel mountain bike wheel made an appearance. And they were good, pretty much. The bigger wheels were a fair amount heavier, and the industry didn't quite know how to adapt the bicycle frame geometry to make the bikes handle well, but man did they roll fast and easy over ugly terrain. The 29" wheel survived the "this is a fad" stage. Manufacturers embraced the wheel size as serious stuff and began to tweak mountain bikes around the new hoop diameter. Handling got better, weight was reduced and selection of components improved. 29" mountain bikes became a force to be reckoned with. Now, enter the 27.5" wheel, also called a 650B. Use the terms interchangeably. 27.5's have gone through all the same growing pains as the 29ers. They've proven themselves as serious stuff. Most importantly, they absolutely rock in all conditions. They're not just for the super serious riders anymore. 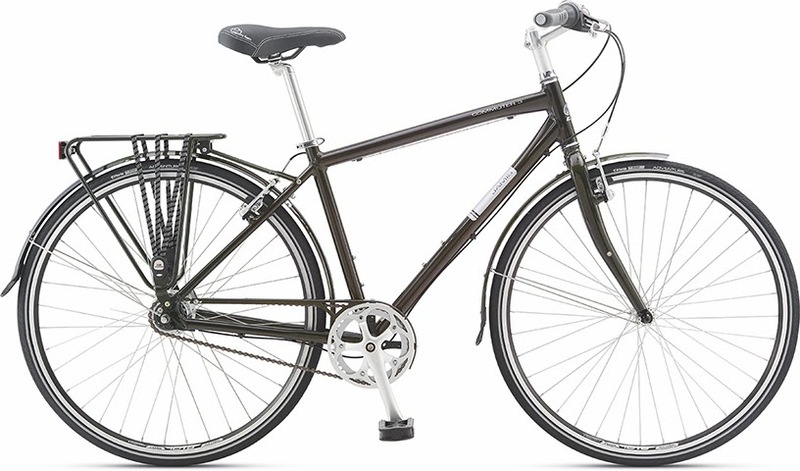 This season, we're starting to see 27.5" wheels on entry level trail bikes like the one pictured below. The Trail X650 sells for about $570.00. Without spending any time on the physics, the 27.5" wheel takes nearly all of the benefits from both 26" and 29" wheels, and leaves behind nearly all of the disadvantages of both wheel sizes. For a confidence inspiring, smooth rolling, easy handling, back trail exploring ride, make sure to check out the 27.5" mountain bikes this season. Out with the old (parts) In with the new. 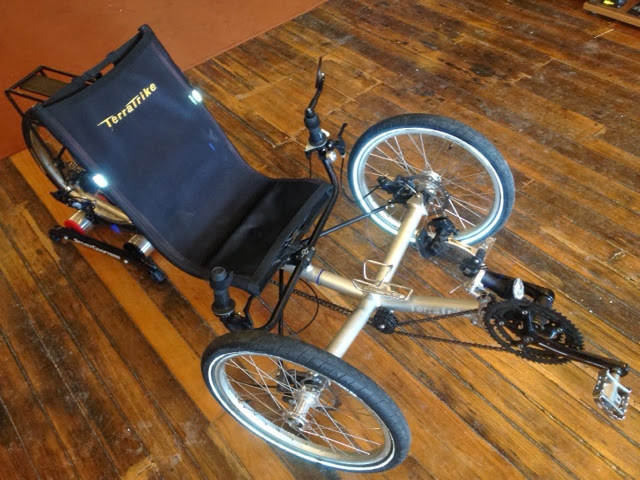 This well loved trike has just undergone an impressive transformation. Thousands of miles had her running rough, really rough. After a complete tune-up, a new chain, derailleur, cassette, shifters, brake and derailleur cables and casings, she's running literally better than new, ready to take on several thousand more smooth running miles with a comfortable and happy pilot. November Brings Winter Hours to SPIN Bicycle Shop. During the cold months, we're open Tuesday-Friday 10-6, Saturday from 10-4 and closed Sundays and Mondays. Ride your bike to work! I saved $3.35 in gas alone by riding my bicycle to and from work yesterday. Plus, I got an hour and 10 minutes of exercise that only cost me 20 minutes. I would have been sitting in my car for 50 minutes had I driven. I had a really good time because riding a bike is fun. When's the last time you had a good time on your trip to the office? If you ever want your ear talked off, call me and ask about commuting. It's one of the best forms of cycling. Cooler weather and phenomenal views make this time of year the BEST to ride. Don't be turned off by a little transitional weather. During this season, some days call for your standard fare of cycling clothes, ie. shorts, jersey, etc. Other days might call for a bit of layering. Keep a light weight cycling vest, some arm and leg warmers and a pair of long finger gloves handy. You'll be happy with temps down into the low 50's. Add a few more key pieces, and you'll be riding in comfort below freezing too. Swing by and we can talk about riding more as the temps continue to slide. Sometimes wear is amazingly good. 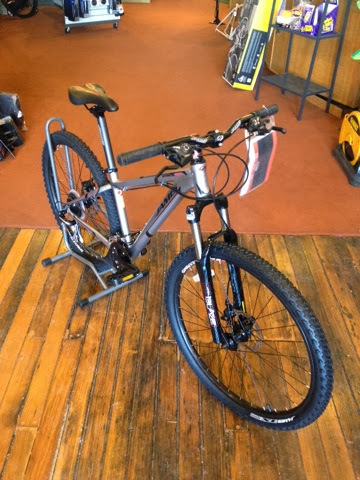 An excellent customer brings his bike to SPIN at a minimum of once a year for general maintenance, then as often as necessary to fix or replace whatever has worn out in between services. Here's a fantastic picture of his bottle cage. The entire surface of the cage has been machined or ground off from literally thousands of uses and tens of thousands of miles of vibration and gentle constant wear. So, how is the wear good? The wear is an indication of enormous amounts of time riding, reflecting, exercising and stress relieving. Beautiful.